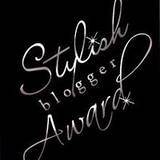 Celebrate the Rhythm of Life: Stylish Blogger Award ~ Thank You! The amazing Sally over at FairyDust Teaching and Annette at Seasons of Joy have each awarded me with a Stylish Blogger Award. Thank you both for thinking of me. 3. Award 10-15 recently discovered great bloggers. 1. I am adopted and found my birthmother twenty some years ago. 2. I have lived on islands and by the sea for much of my life and love to scuba dive, the underwater world fascinates and soothes me. 3. I am a gypsy at heart. (Maybe we are gypsy at heart sisters Sally?) I've lived all over the planet and love to explore and meet people and taste the food they eat and see how they birth babies. 4. I gave birth to one child at 44 weeks and another at 32 weeks and did kangaroo care. 5. I was a philosophy major in college until I discovered Wome's Studies, then I went on to become a Midwife. 6. I love to cook and grow food, especially for people I love. 7. I love San Francisco and my all time favorite job was working at Cafe Liliane, it was a magical time, full of warmth and delicious too.. Flowing with My Ducklings Emily's beautiful photos of her children accompanies authentic reflection, craft making, and the process of parenting with head, heart and hands. Free Flowing Ways Kelly's blog is lovely and inspiring. 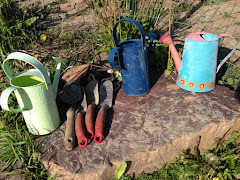 with lots of connection to nature, nature rhythms in her family's homelearning. Spinspirations Kelly, above, of Free Flowing Ways and Dawn just started this spinners circle. It is so cozy, warm, beautiful and inspiring. Carried Family ~Sarah's blog is an authentic exploration of life with children, lots of nature and warmth with her beautiful family. The Artist, The Mom Angela's blog is full of reflection and humor and her beautiful family and handwork. She Tweets too. Busha Full Of Grace Busha (Marianne) 's blog explores many questions and inspires with brilliance and creativity and honesty. 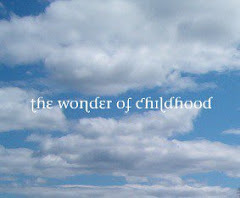 Love in the Suburbs Sara's beautiful blog is rich with family life, good writing and gorgeous photographs. Ancient Hearth Jen's blog is beautiful with a look at Waldorf homeschooling and such an inspiration for us all on so many levels, even with the dogs. Her site is also full of generosly shared resources and links. The Sun With Loving Light Sandi is a homeschooling mom in California who asks and explores some big questions as well as shares her journey with readers. Straw into Gold Christine Natale is a gifted storyteller and Waldorf kindergarten teacher who has been generously sharing her brilliant work for years. Bending Birches ~ Rebecca is the mom of a toddler, who shares beautiful photos and reflections of her journey into parenting and Waldorf education and caring for the children of others. La Tartine Gourmnd explores life as a French mom who loves food, french, good food and reflections on mothering and life and gorgeous photographs. You are very deserving of such an award. Thank you for passing it on to me and I am very honoured to receive an award from you! It was lovely to read the seven things about you. What an interesting person you are - midwife and gypsy and sea dweller and food lover. From reading your blogs for some time, I see how some of these things about you are shown through your words. You are a gift to us all! Oh my goodness...thank you! Does this mean I'm a stylish blogger?? My daughters would laugh at the mere word "stylish" with my name. Thank you from the bottom of my heart, Lisa. I'm glad I found this as I perused my blog stats; I didn't even know you had this second blog until then. I love reading you! Congrats Lisa! What an interesting person and life you have. I love your vision and hope it comes to be. Thanks for sharing about yourself and also for passing along such wonder new blogs to explore (I only knew two of them).